Winter in Albany, NY is not for the faint of heart. It’s not uncommon for there to be a string of days where the temperature barely breaks out of the 30s. This is the perfect weather for cuddling up in front of a warm fireplace. It’s also the perfect weather for taking a dip in a backyard hot tub. While it might seem odd to want to go out of the snow wearing your “hot tub outfit” there are actually many benefits to be found from a hot tub session even in the most chilly of temperatures. If you are having trouble getting to sleep at night a quick session in the hot tub before heading to bed might just do the trick. The soothing heat found in those waters can reduce the tension and stress built up in your body over the course of a day. The simple pleasure of floating in warm water is totally relaxing. There have also been studies that have found that the drop in body temperature that occurs after getting out of your hot tub could actually help you get to sleep faster. The recommendation is for 15 minutes in a hot tub at least 90 minutes before you go to bed. Along with the benefits of helping you fall asleep, a hot tub that has massaging jets can work to relax muscles and stiff joints. This is referred to as hydrotherapy and is recommended by doctors to many of their patients who suffer from arthritis or rheumatoid arthritis. This relaxation of the muscles in turn creates decrease pain and stiffness which allows the hot tub user to get a lot more accomplished during the course of the day. A hot tub can also help your heart. When soaking in those warm waters your blood vessels will open up which decreases blood pressure and improves circulation. This also had an added effect of providing a boost for your immune system and digestion. There have been also studies conducted to show that a half hour a day session in a hot tub can help persons who been diagnosed with type II diabetes to help lower their blood sugar, lose weight and improve their sleep patterns. This is especially important for those folks who might have trouble exercising but are still looking for the benefits of proper blood circulation. All of this adds up to a great list of why you should have hot tub brewing in your backyard. If you’re saddled with an old hot tub that needs to be disposed of then you should call in a professional team of junk removers, like Junk King Capital District, who will be well versed in this type of hot tub breakdown & disposal. Breaking down a hot tub and loading the pieces onto a truck is definitely a team effort but that’s not something you need to concern yourself with as long as you have the right help. 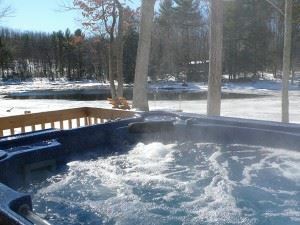 This entry was posted in Albany Junk Hauling, Albany Junk Removal, Get Rid of Junk Albany, Hot Tub Disposal and tagged Albany Hot Tub Disposal, Albany Junk Removal, Get Rid of Hot Tub Albany, Hot Tub Removal New York on February 28, 2012 by Todd Porter. Last updated August 1, 2017 . The need for this kind of assistance is genuine and can help homeowners who find themselves “under water” to get help fast. In many cases, this could mean that a foreclosure might be prevented by working out a payment plan that is agreeable to everyone. 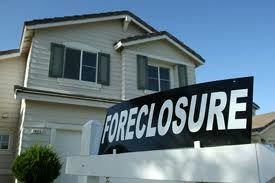 However, if a foreclosure is deemed to be the only viable option then at least the process won’t drag on for months. While this program will be a big help, there are still going to be many outstanding foreclosure properties waiting to be scooped up by some savvy real estate investors. Most of these homes are structurally sound; they just are in a bit of a messy state. That’s where a company like Junk King can be of great assistance. Junk King is an Albany based business that specializes in all kinds of junk removal and clean-up. No job is too big or too small for a Junk King Capital District crew. If you are considering buying a foreclosed property you’ll want to get a quick return on your investment. This will come in the form of either flipping the home or getting it ready for renters. In either case, you’re going to want Junk King to be your first call. The experienced Junk King team will arrive at the appointed hour ready to haul away whatever might have been left behind by the previous occupant. Those occupants could have decided to simply abandon the property and only took what they considered valuable items. This means all kinds of things would be left behind. These would be the bulky items that can’t be thrown out in the garbage like ratty furniture, old mattresses, drapes, carpeting and kitchen appliances that are totally busted. Once all that junk is carted off by Junk King then you can get down to the serious business of repainting and re-carpeting. Then the home will be ready for viewing and the stigma of being a “foreclosed” property will be forever removed. It’s a smart choose to house hunt for foreclosed properties and an even smarter choice to involve Junk King. This entry was posted in Albany Junk Hauling, Albany Junk Removal, foreclosure clean out and tagged Albany Foreclosure Clean Out, Albany Junk Removal, Foreclosure Clean up, Foreclosure Cleanout, New York Junk Removal on February 23, 2012 by Todd Porter. Last updated August 1, 2017 .